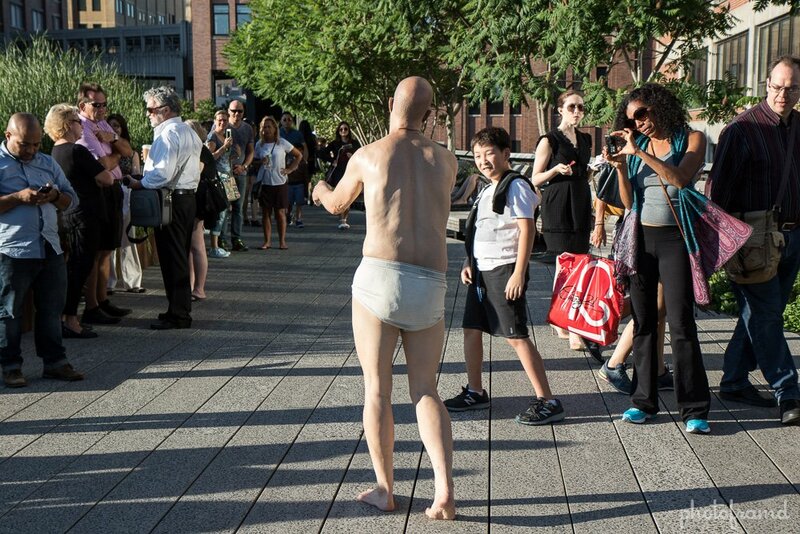 And, there are other surprises on the High Line. 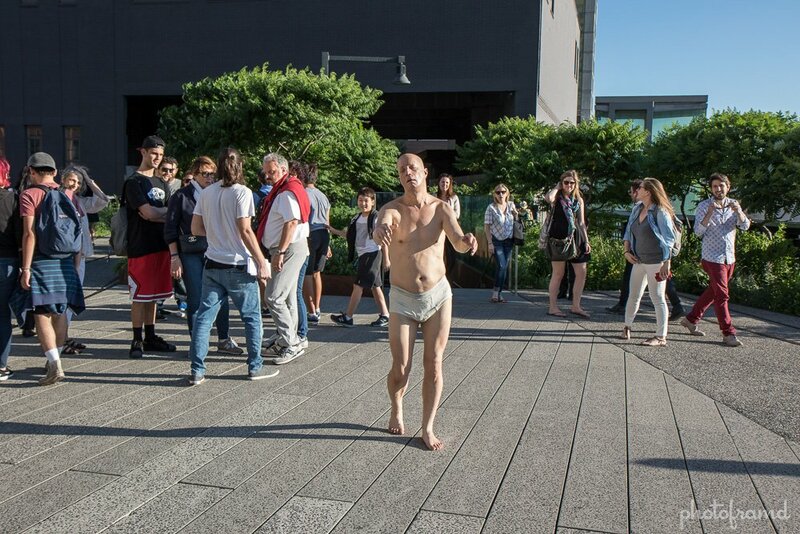 The following photos are of a incredibly realistic sculpture. Even close-up, it’s tough to tell. 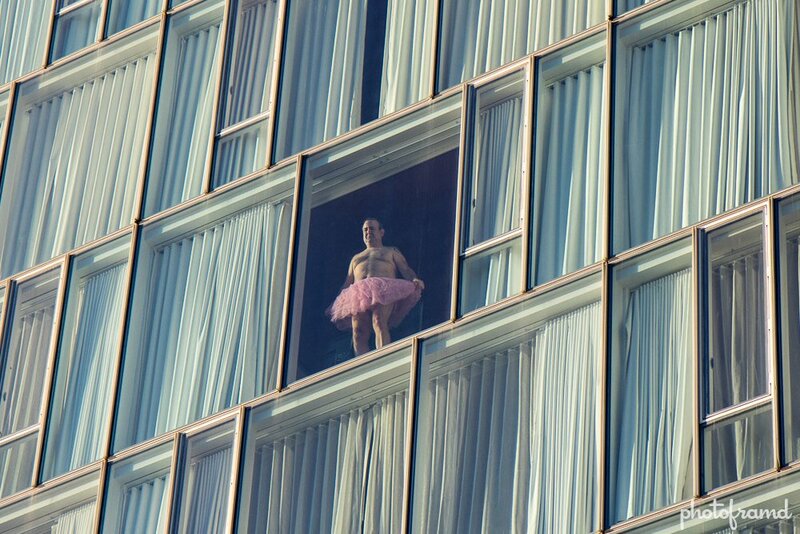 And then, there are this scene in one of the windows of the Standard … a male figure in a pink tutu. 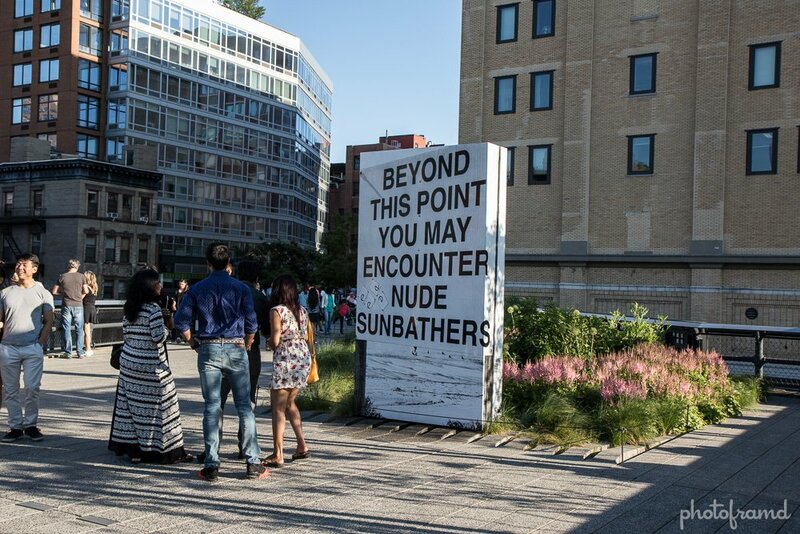 At first, I thought it was the same artist being very creative. Then, he turned around. I did see a photographer with a camera walk by the window too. I can assume it was a photo shoot for something … too too. 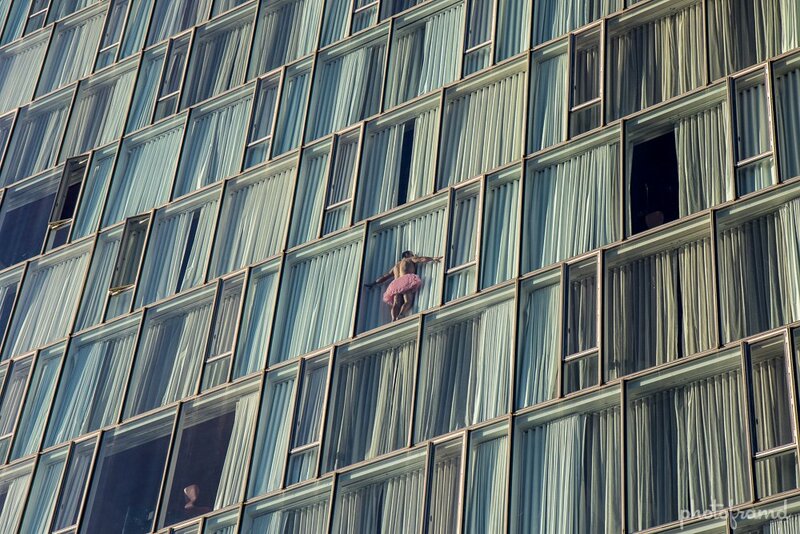 It might be part of The Tutu Project to raise Breast Cancer awareness.